The ability to be able to work from home can be a serious gamechanger for your family. It not only helps you save on childcare but can also help you spend more time with your kids. If you are a blogger, your time is extremely precious. Sometimes we just need to keep the kids busy for a few hours so we can finally get some work done! Here are ten ways to keep your kids busy so you can finally work on your blog. Science experiments are fun (and time-consuming) activities that will take your kids some time to do. This is a great way to keep them learning while you are getting some work done. There are a ton of great sensory bin activities online, and any of these are sure to keep even your toddlers out of your hair for a little while. To help keep your sanity, have a quiet time activity every day for a minimum of at least one hour. Have your kids read a book or something that doesn’t require any noise for just a short while so you can get some work done. Puzzles are a great hands-on activity that your kids can do that won’t require much supervision. Let the kids spread out on the floor nearby and do a few hands-on activities. If your kids are old enough, or if you are okay taking your computer outdoors, let them play around outside and burn some energy while you work. 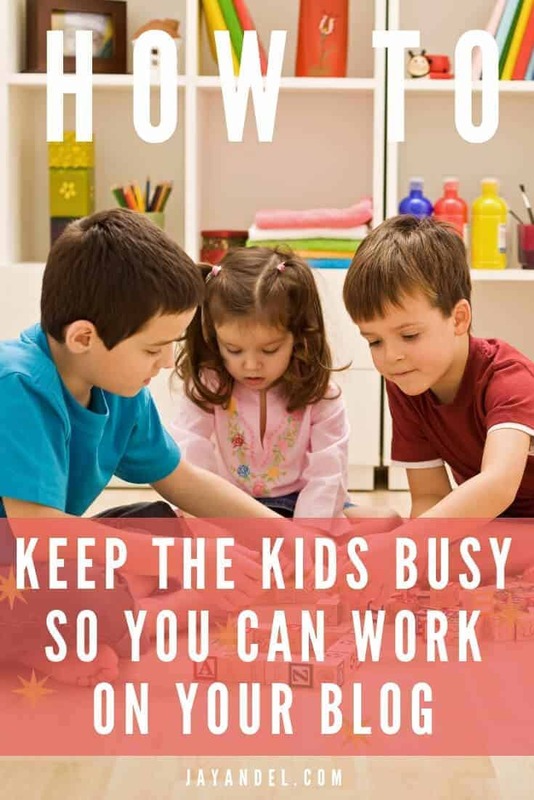 Workbooks and coloring books are a fantastic way to keep your kids busy without much work. You can even pick some up from the Dollar Tree. If you have a lot on your plate one day, see if you can schedule a play date with another mom! This way the kids are out of your hair for a little while so you can work! If you do this, make sure to return the favor sometime. I’m not suggesting that you have your kids park in front of the TV all afternoon, but a little bit of screentime can allow you time to focus without having to also supervise your kids. If your kids take naps during the day, don’t dismiss this time! Use it to get the tasks that are going to require the most work so that way you can get as much done as possible while they’re napping. If you need to wait until your husband comes home to be able to work on your blog, it’s okay. This will happen some days, and it’s okay if Dad steps in to watch the kids while you work. Working from home is not easy, especially if you are a blogger. 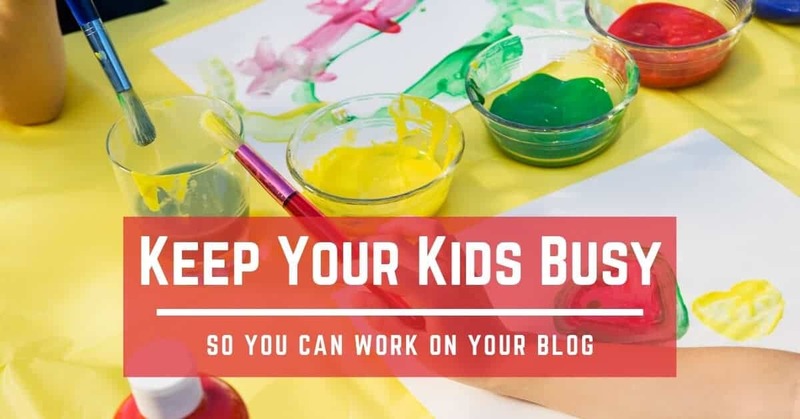 But having these tricks handy, can make sure that you get work done on your blog even if the kids are home.